There’s something truly amazing about being a member of the Melnechuk family. If I had to describe it, I might use words like comfort, security, acceptance, and shared fun. As a child it was comforting to look around a table of 30 or 40 people at Thanksgiving or Christmas and know they were all related to me. My child’s mind felt secure knowing these people were more than neighbors or friends. They were forever-people—they were family. My parents, uncles, aunts, and cousins have always been bound together by blood and love, not by the temporary feelings of today. I remember those temporary feelings–older cousins talking behind closed doors or aunts reverting to the Ukrainian language in mid-sentence to keep children from hearing too much detail. Somehow those things didn’t shake my sense of family security because underneath the perceived rejection of the moment was a firmer truth. We were family. That security has proven true in my adulthood as well. Our family isn’t perfect. In fact, we’re not even very much alike. We’re an astounding array of individuals who for some unexplainable reason manage to connect and find joy in that connection. We text, we connect on social media, we even phone each other for the simple joy of hearing another cousin’s voice. We have reunions that range from 70-120 people and manage to end them with a desire to do it again. That’s because at our reunions, which include Canada vs USA baseball games and stories around the campfires and hilarious skits in the evening, those deep feelings of security, connection, and shared fun rise to the surface and burst out in laughter. For one long weekend every few years, we’re not hard-working stressed-out individuals. We’re Melnechuks feeling secure with each other, playing and laughing together. Turns out, there’s family history behind our desire for Melnechuk connection and shared fun. According to my mother and many of my aunts, our grandparents—the patriarch and matriarch of this big family—believed in deep family connection and shared play. They were Ukrainian settlers in the harsh frontiers provinces of Canada. They started their married life in Saskatchewan as a 14-year-old woman and a 24-year-old man. In just over two decades, they had moved twice, had eleven children (loosing one in infancy), and were working a plot of land in Alberta. Hard work began to pay off. By the time my mother (the youngest child) was old enough to remember, there was hard work on the farm but also a full day of rest every week and regular family baseball games on summer evenings. They worked together, worshipped together, and played together. That created a bond within the siblings that extended far into adulthood and carried into the lives of their children and grandchildren. In adulthood, the ten siblings sought each other out for Saturday night fun and shared vacations. They helped each other build and renovate houses, and they planned annual trips to the lake to fish. They enjoyed getting together as families. They didn’t do it because it was expected or demanded. They did it because it was fun. To my grandparents, Mike and Catherine, family was the center, the core, the stake in the ground. Their beliefs about the centricity of family provided a sense of security and connection that continues to this day. Family was and still is the place my cousins and I return to for support, love, acceptance, and shared fun. As Melnechuks, we know whether we’re nine or ninety, struggling to make ends meet or succeeding in our career, running freely or confined a wheelchair, fully engaged in each conversation or struggling to understand, each of us are always and forever an integral part of the family. There’s a place for us at every table, at every reunion, and in every heart. Daughter of Ruth (Melnechuk) and John Carl, Jr. Check out a YouTube video created by Ashley Bell in 2010 which celebrates the Melnechuk family and honors those who have left us a rich legacy of family memories. This entry was posted in Blog on by melnechuk. John O’Donohue was an Irish poet, theologian, and philosopher. He wrote this blessing for his mother following the death of his father. 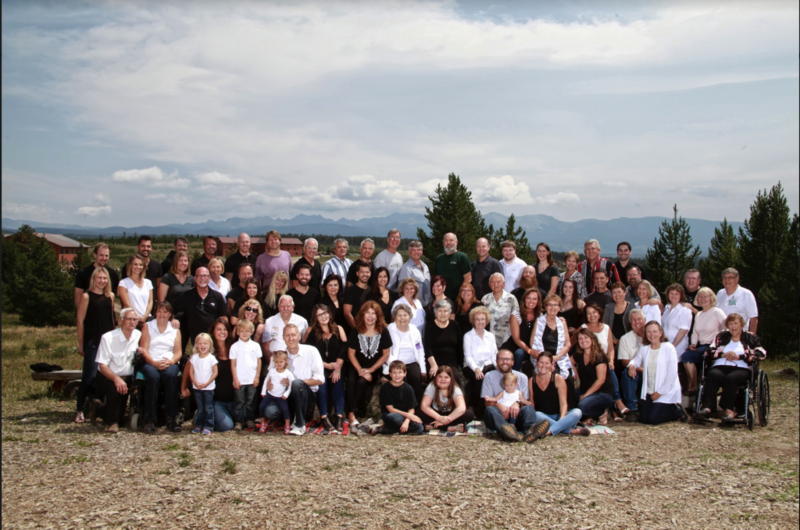 This blog post is an excerpt from a genealogy presentation developed by Janice M. Bell, daughter of John and Violet (Luchak) Melenchuk for the 2017 Melnechuk Family Reunion and presented on August 5, 2017 in Colorado. Thanks to Dr. Martha Driessnack, Oregon Health & Science University, USA, for sharing the “Do You Know Scale” (Duke, 2013) resource with me. There is a growing body of research about family storytelling (Rollins, 2013). 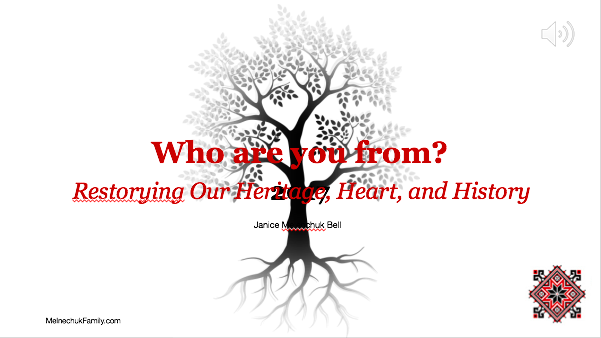 Family lore and storytelling influence our lives, our hearts, and even our cells! Children who know a lot about their family history report less depression and greater feelings of control and capability (Duke, Lazarus, & Fivush, 2008). In particular, families who refine and retell a unifying narrative about the family’s positive moments and resilience during difficult times, produce children who consistently show more self-confidence and esteem. Engaging in family storytelling can bring richness to family relationships and create connection to the past. Do you know which person in your family you most look like? Do you know which person in your family you most act like? Do you know some of the illnesses and injuries that your parents experienced when they were younger? Do you know the names of the schools that your dad went to? Rollins, J. A. (2013). 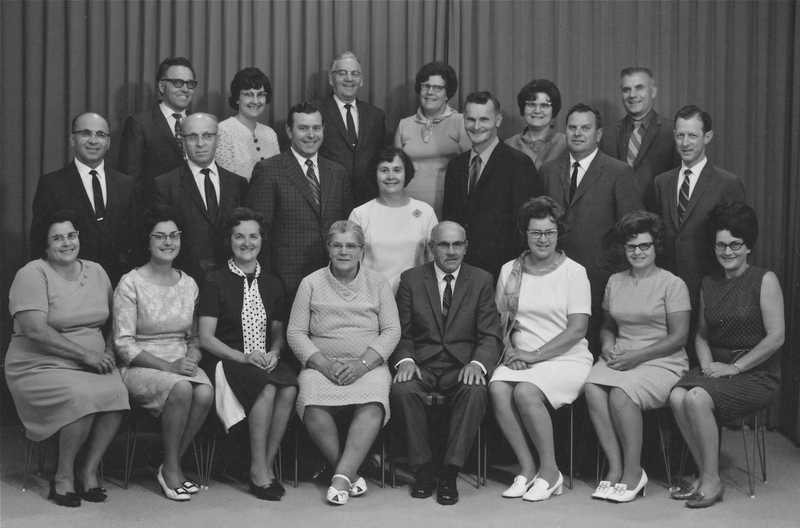 The power of family history [Editorial]. Pediatric Nursing, 39(3), 113-114. If you have a chance to experiment with these Twenty Questions from the Do You Know (DYK) Scale and wish to share your experience of using these questions with your family through a blogpost or podcast on this website, please contact me. Check out a YouTube video created by Ashley (Bell) Matus in 2010 which celebrates the Melnechuk family and honors those who have left us a rich legacy of memories. This entry was posted in Blog and tagged family genealogy, family history, family resilience, family stories and health, family storytelling on by melnechuk. Welcome to the Melnechuk Family website! I would like to invite you to the “Melnechuk Family Writing Project”. This family writing project will consist of guest blogs about a family story or special memory (photos can be included). Please contact me if you would like to contribute to this Family Writing Project. This entry was posted in author on by melnechuk. I am from Violet and John, Mary and Nickolai, Katherine and Mike. From the northeastern Alberta prairie and northern lights, from snowbanks and crocuses, from stooks of grain and ferry boats on the North Saskatchewan. I am from perogies and sour cream eaters, nalysneki eaters, holoptsi and dill pickle eaters. I am from the alphabet kids, cousins by the dozens, Baba’s garden, and skating rinks. I am from church socials, Ukrainian language, MV meetings, and wooden church pews. From farmers, nurses, teachers, and an optometrist who dreamed of a better life for their children. I am from resilience, pride, hard work, getting an education, and community leadership. I am from “You can’t please all of the people all of the time”, and “a lady doesn’t chew gum”, and “bring slacks and cards” and “figusmuckum”! I am from no-dancing-or-smoking-or drinking SDA’s, but Make a Million was okay except on Sabbath, from “Day is Dying in the West” and campmeetings, and Saturday night volleyball, from northern lakes, green canvas tents on rainy afternoons, and jack fish for every meal. I am from Christmas packages from Vancouver, a 1957 turquoise Oldsmobile, bomb shelters, paper dolls, red crinolines, and “Sue Barton, Student Nurse”. From coyotes, red-winged blackbirds, gophers, and baby ducklings. I am from station wagons, summer trips to Vancouver, fish and chips at Second Beach, low benches around big tables and much laughter, from Noxema, four leaf clovers, a bag of candy for 5 cents, and kolbasa sandwiches. My own life unfolding against a cast of strong matriarchs who were the shakers and movers and connectors. You can write your customized version of your own history/lineage using the format suggested by Mary Pipher (see below). Format adapted from: Mary Pipher (2006). Writing to change the world. New York, NY: Riverbed Books.